In Bridge to Blockchain Part 1 I discussed how blockchain startups were targeting many industries, particularly those dominated by rigid and traditional business practices involving many parties with complicated business processes. I discussed some of the differences between the traditional enterprise world and the multi-party network model of blockchain. Now let’s take a closer look at the difference between enterprise solutions and networks. The traditional legacy approach to business networks and related business processes has been single company centric with bolt on B2B EDI and one way “web portal” technologies. Today each company has it’s own funky mix of private systems, custom point solutions, single company planning processes, single company system of record, no single source of truth between companies, centralized cloud service providers providing one company applications on the cloud, point to point B2B EDI, one way Web Portals, single company MDM systems, all mixed in with manual excel and ad hoc email collaboration, etc… You can white board this landscape to answer your Gen Z and Millennial employees when they complain about hard to use interfaces and tribal knowledge based business process that are strangely difficult for new comers to learn. This landscape forces a proliferation of manual fill the gap processes between systems and companies. This “mess” has spawned entire consulting industries and esoteric complex point software solutions. It is also one of the drivers behind many “data lake + analytics” and experimental blockchain projects by companies trying struggling to become more efficient and agile. Those that have taken the time to understand Blockchain realize that the vast majority of this type of waste can be nullified by intelligent use of multi party networks and Blockchain technology. But without solving the root problems caused by isolated processes and one company systems significant value likely will never be harvested from “cool” single company Blockchain IT projects or by high end analytics solutions. We are seeing the emergence of “Blockchain as a Service” from well know cloud service and traditional ERP providers that are eager to get into the game or avoid being disrupted. I suspect these new BaaS services are going to disappoint many. 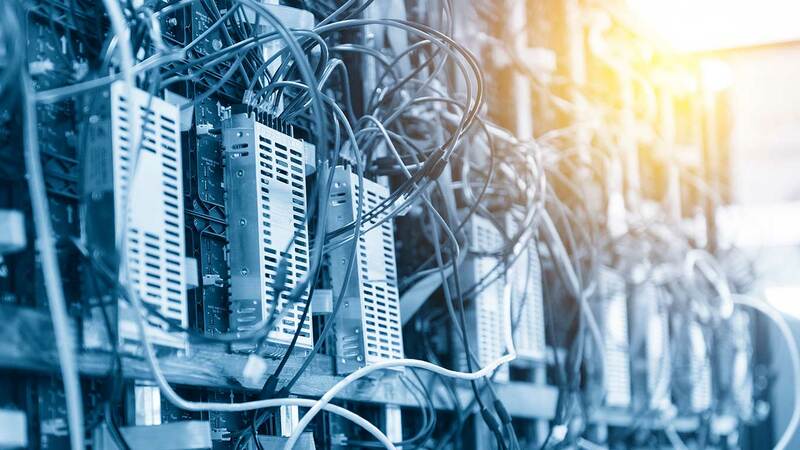 The problem with these BaaS services is that they lack the key elements of multi party business services required to make even basic network applications useful. Many IT organization comfortable with these brand names will engage with these services only to find out that they have to develop massive amounts of complex code to make anything remotely valuable. Many will abandon their blockchain projects and claim that the technology isn’t ready for enterprise applications and play the waiting game. This is going to lead to the classic new technology “disillusionment” phase for many. Providing single company centric cloud APIs and templates on top of Blockchain networks like Ethereum and Hyperledger will prevent the development and realization of applications that businesses need to optimize their operations, create new business models and optimize multi party business processes. The existing corporate markets need a bridge between legacy IT systems and Blockchain networks to enable business and IT to transition to Blockchain when and where it makes sense. This strategy is practical, lowers risk and avoids lock in to one Blockchain network while leveraging your existing IT investments. While blockchain networks like Ethereum are well established it is still early to bet on one Blockchain network and it is likely that corporations will want and need to leverage multiple networks. In the next post, we will look at how companies can bridge this divide and continue to get the most from their systems while leveraging blockchain networks. If you are eager to know more, I recommend you read my paper, Bridge to Blockchain, which covers this in depth.